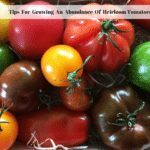 The decision to grow tomatoes from seed is a personal one but there are many advantages especially for those who desire to grow organic, heirloom tomatoes. These tomato seed starting tips are meant to help you learn how easy it is to start your own seeds indoors. There are also links below to products I recommend from companies I have a referral relationship with. I will be compensated if you make a purchase after clicking on my links. Some tomato gardeners prefer to purchase plants that they can transplant directly into their yard, garden or containers. 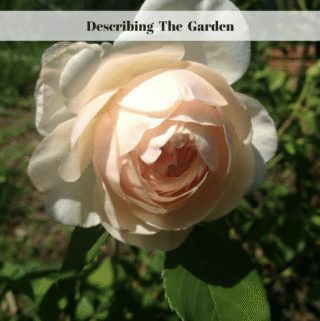 Other gardeners are a bit more adventurous and prefer the more hands-on process of growing tomatoes from seed. Of course, this is a more time-intensive process than simply buying an established plant at the store. However, it is tough to beat the sense of satisfaction that comes from seeing the results of your patient efforts take shape. 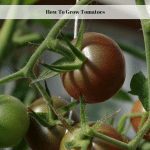 Growing tomatoes from seed is not difficult, but it does take a little know how. For starters, you have to start with the right kind of seeds. You won’t get great results with hybrid tomato varieties unless you buy the seeds from the store. When gardeners save seeds of hybrid tomatoes from their own garden, they don’t grow true to the parent plant the way a good, old-fashioned heirloom does. There are many good heirloom varieties to grow from seed. 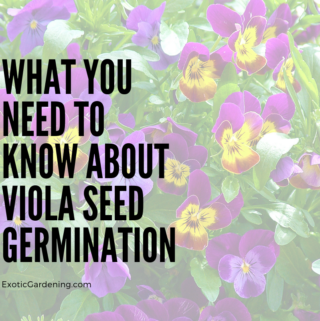 So do yourself a favor and start with seeds from your favorite heirloom varieties and follow the steps outlined below. 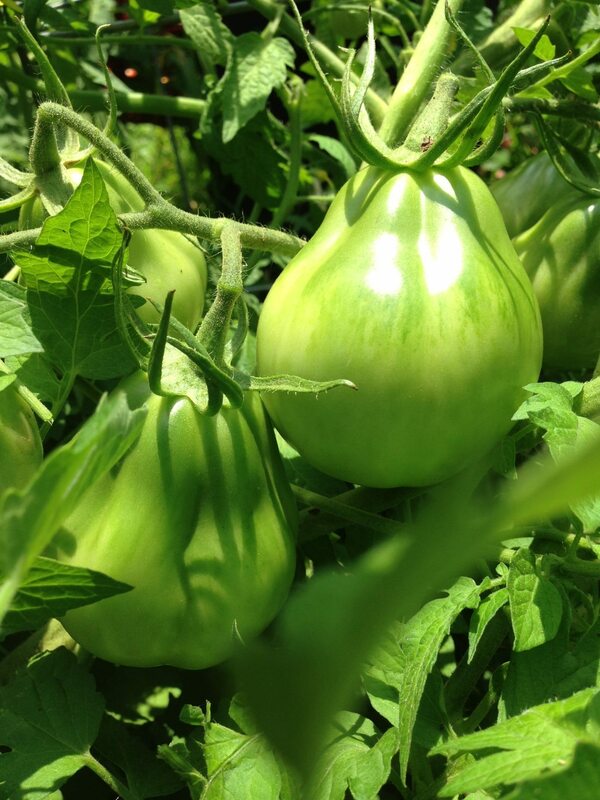 Soon, you will be growing the healthiest, tastiest and most beautiful tomatoes you can imagine. 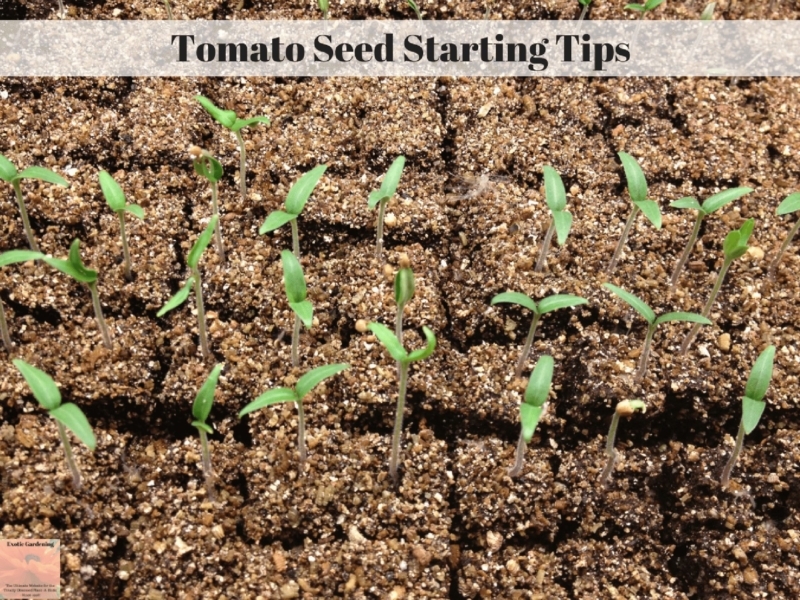 Start the tomato seeds indoors 6 to 8 weeks before the last spring frost in your area. If you aren’t sure when to start, simply input your zip code into the USDA Plant Hardiness Zone Map. To get started, purchase several containers of sterile seed growing mix, peat pots or plastic seed starter pots. Another option is to use peat pellets. 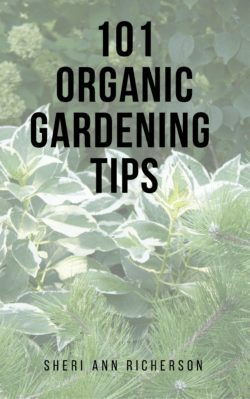 Put the soil into a plastic tub or other container that does not leak and add enough hot water to moisten the soil then fill your pots. For those using peat pellets simply add enough hot water to the seed starting tray the pellets are in for them to fully expand. I use hot water because it absorbs into the soil better and I pre-moisten the soil so I don’t end up with dry spots in the center of the pots. Next make very shallow holes with a pencil or bamboo skewer that about 1/4 inch deep. You want just one hole per seed starting container or peat pot. If you are using peat pellets, the indentations are already there. Place one seed into each hole. Sprinkle vermiculite or more seed starting mix on top of each seed so 1/4 inch of soil is over the top of each seed. Place these containers in an area which consistently reaches and holds 75 to 80-degree Fahrenheit temperatures. Water from the bottom as necessary using warm water. I generally allow 1/8 inch of water to sit in the bottom of my seed starting containers until I see the seeds begin to germinate. This keeps the soil from drying out. As soon as you see the seeds begin to sprout, immediately add a strong light source from either florescent grow bulbs or natural sunlight – and if you are using a plastic cover of any type on top of the trays the seeds are in, remove it. Continue to water the plants from the bottom using warm water. The idea is to keep the soil moist but not allow the pots to sit in water continually. I typically water every 2 to 3 days. After about a month you will notice the first “true” and identifiable tomato leaves begin to appear. For those who grow their tomato seeds in one large pot or container, instead of following the instructions above, once these “true” leaves appear, it is time to transplant your seedlings to bigger containers. This is known as “picking out” your seedlings. When transplanting tomato seedlings that are growing in close proximity, it is important to only handle them by the leaves. Pinching the stems causes damage to the plant – and while tomatoes generally recover, it does slow their growth down. Hold the tomatoes by their leaves and gently tease the roots apart. Only plant one plant per new container. 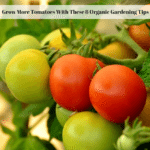 If you planted just one tomato per container you can skip this time consuming, tedious step. Once your tomato plants have their “true” leaves and begin outgrowing the pot they are in, transplant individual seedlings into containers that are at least 3 to 4 inches in diameter filled with moistened potting mix. For those who used peat pots to start their tomato seeds, move on up to the next size peat pot or use gallon sized plastic pots which are available at many nurseries. When transplanting tomatoes, I place the bottom of the soil on the bottom of the new container and fill the pot up with soil making sure to leave at least two tomato leaves sticking up above the soil in the new container. The reason I do this is tomato plants send new roots out from their stems if the stems are buried under ground. This makes the plant sturdier. Gently water in the seedling after planting – and again I suggest watering from the bottom. When spring weather reaches and holds 55-degree temperatures at nights, move your plants out into the sun for a few hours at a time to harden them off. Gradually increase sunlight exposure daily over a week, until they can sit outside all day. Before transplanting your seedlings, be sure to check the pH level of your soil to ensure it is not too acidic or alkaline. You want your soil pH to be between 6.0 to 6.8 for tomatoes. Home soil testing kits can be purchased at gardening and home improvement stores, and many major cities offer laboratory testing. 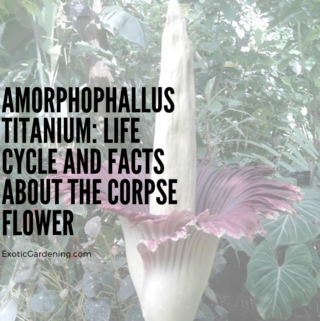 When you are ready to transplant your plants, remove the bottom branches and plant up to just below the bottom leaves to ensure healthy growth and a strong root system. Again you are burying as much of the stem as possible. I typically use a shovel to dig the holes for my tomato plants. I double dig which means I dig one hole that is the depth of the blade of my shovel, then I go back into that hole and dig further down until the hole is the depth of two of my shovel blades. Smaller tomatoes do not need holes this large, but I typically end up with some pretty large tomatoes by the time it is safe to plant them outdoors here. Once your tomato plants are in the ground, add support in the form of cages or stakes and water gently – this time at ground level. Avoid splashing dirt and water onto the tomato plants. 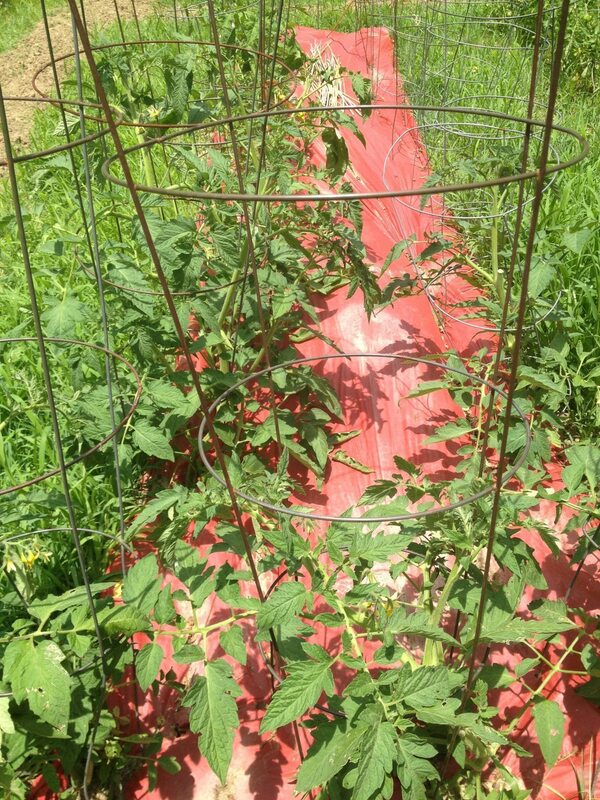 To help prevent weeds around your tomato plants, hold moisture in the soil and encourage the tomatoes to ripen faster, you can lay a red plastic garden mulch around the tomato plants once they are in the ground. Depending on the size of the plant I am transplanting, I either lay the mulch before I plant and cut out the hole area where I am digging – or ideally I simply cut an “X” in the plastic and gently pull the tomato plant through the plastic, then put the tomato cage into the ground through the plastic to help hold it in place! As your tomato plants grow, simply water soil when dry, add some nutrients such as compost or organic fertilizer and enjoy your harvest! 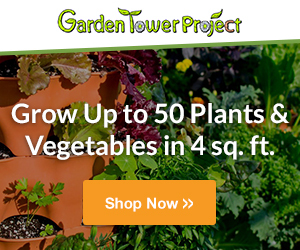 Heirloom Tomatoes – Varieties For Every Palate, But Where Do You Start?